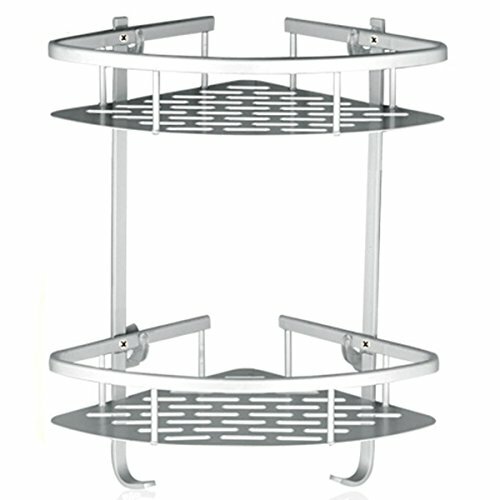 I live in a rented apartment and my landlord specifically says No Drilling on the wall, but i always wanted a bathroom shelf, my bathroom was a mess before i had this one, and i believe there is thousands of people out there under the same situation like i do, so we trying to solve this problem and we developed this product to help other people under the same condition like i do. To ensure it's reliability, we select one of the most Powerful Adhesive Suction Sticker, each sticker able to bearing 15 lbs, 1 Extra backup Adhesive Suction Sticker provided. Work on Smooth surface ONLY. Easy and Quick installation, can be installed in any SMOOTH surface (please make sure there is No tiles joint beneath Adhesive Suction Sticker while install this shelf) Not suitable for small ceramic tiles, at least 4x4 inches. If you have any questions about this product by Lancher, contact us by completing and submitting the form below. If you are looking for a specif part number, please include it with your message.